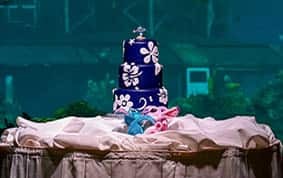 I've seen several ocean and tropical cakes, especially at our under the sea venue! This week we have two great ones to show. 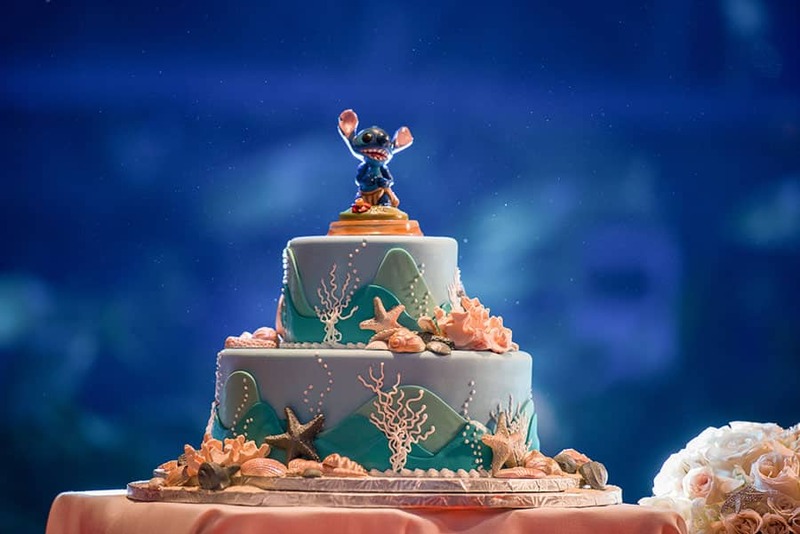 The first is a two tier dessert that has all the details of the sea. With bright blue waves, coral, and sea creatures along the side, this one is sure to please any coastal couple. 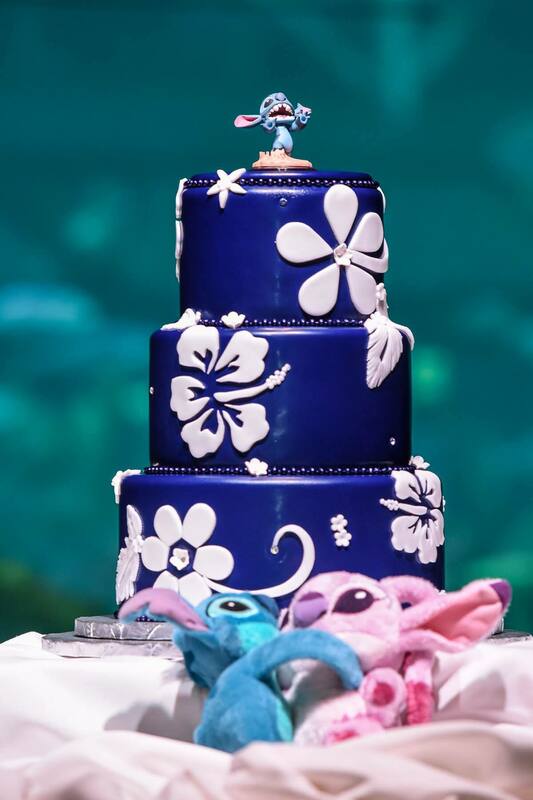 The second is an island inspired, three-tier wedding cake set in the Living Seas Salon. 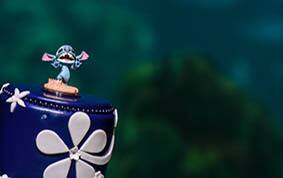 It is a great choice for any lover of the sea or the rambunctious character, Stitch. The tropical hibiscus and plumeria decorate the deep blue layers along with beautiful palm leaves. Subtle beads separate each layer and add more detail. 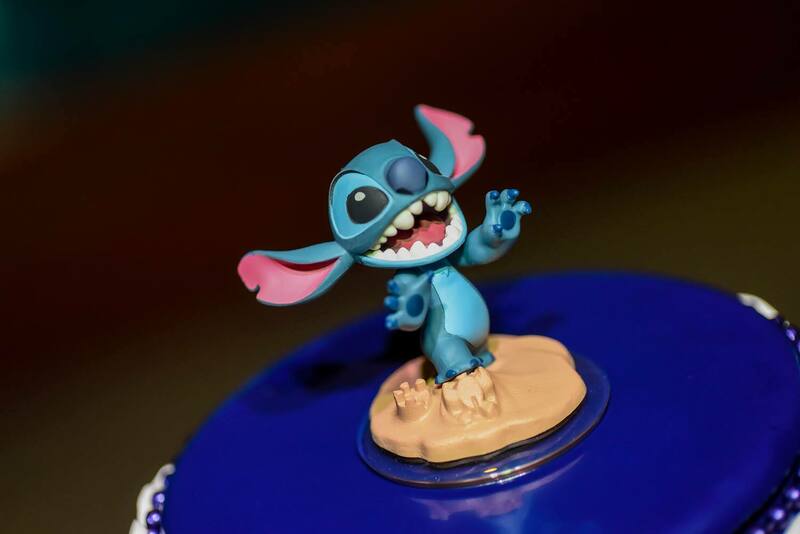 The excited Stitch on top completes the theme for both!